At Tarnow Criminal Law, we’re a full service criminal defence law firm in the Yukon Territory that provides legal services. If you’ve recently been charged with a criminal matter, we’re the lawyers you can trust to help you out of your legal trouble. With over 40 years of working in criminal law, David Tarnow and Jason Tarnow are expert at legal issues and can tackle any defence case, no matter the odds mounting against you. Call our Yukon office today and we’ll begin your case. Criminal defense can be challenging. Before you go to court, know your rights. The Canadian Charter of Rights and Freedoms is in place and guarantees you the right to be represented by a lawyer. If you’re being charged with a criminal matter, consult a lawyer as soon as you can. They’ll protect your rights and play a pivotal role in defending your case. 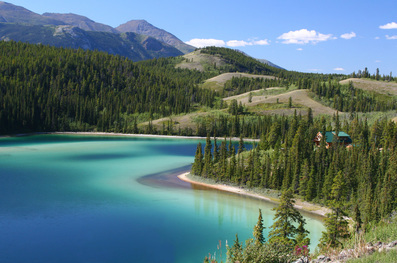 Why do You Need An Lawyer in The Yukon? At Tarnow Criminal Law, we’re dedicated to providing our clients with the best legal counsel possible in the Yukon Territory. When you choose us to defend your case, you can expect continuous communication, personalized attention, and utmost professionalism and care throughout the duration of our service. We’ll also keep you informed so you know what’s happening every step of the way. Choosing the right defence lawyer affects the outcome of your trial. Before we begin your court case, we’ll provide you with a free consultation so we can discuss your charges and give you the opportunity to ask questions confidentially. It’s important to discuss your case with your potential lawyer before hiring him to defend your case. By inviting you to talk to us first, we hope to address your concerns and explain your charges to make your decision that much easier.